Global poverty has largely been viewed as a technical problem that merely requires the right expert solutions. Yet all too often, experts recommend solutions that fix immediate problems while ignoring the political oppression that created them in the first place, accidentally colluding with autocrats who violate the rights of the poor. 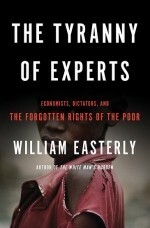 The Tyranny of Experts traces the history of the fight against global poverty, showing how development has long suppressed the vital debate on the individual rights of people in developing countries, the crucial debate on whether unchecked power for dictators is the problem and not the solution. 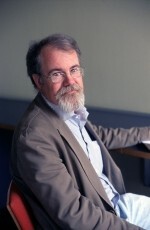 William Easterly is professor of economics at New York University and co-director of the NYU Development Research Institute, which won the 2009 BBVA Frontiers of Knowledge in Development Cooperation Award. He is the author of three books: The Tyranny of Experts: Economists, Dictators, and the Forgotten Rights of the Poor (March 2014), The White Man’s Burden: Why the West’s Efforts to Aid the Rest Have Done So Much Harm and So Little Good (2006), which won the FA Hayek Award from the Manhattan Institute, and The Elusive Quest for Growth: Economists’ Adventures and Misadventures in the Tropics (2001). He has also published more than 60 peer-reviewed academic articles, and ranks among the top 100 most cited economists worldwide. Easterly has written columns and reviews for the New York Times, Wall Street Journal, Financial Times, New York Review of Books, and Washington Post. He has served as co-editor of the Journal of Development Economics and as director of the blog Aid Watch. He is a research associate of NBER, senior fellow at BREAD, and nonresident senior fellow at Brookings. Foreign Policy magazine named him among the Top 100 Global Public Intellectuals in 2008 and 2009. He is also the 11th most famous native of Bowling Green, Ohio.